Use WebBlocker to filter URL and web content by blocking HTTP and HTTPS access to inappropriate or malicious web content. Choose from over 130 blocking categories and sub-categories and allow or restrict URLs and set policies by user, group, and schedule. 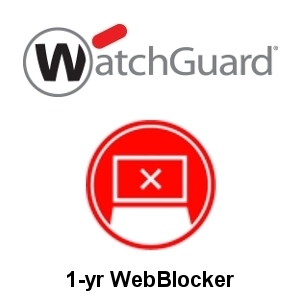 Renew your existing subscription or extend your protection with WebBlocker for one year. WebBlocker is also included in the Basic and Total Security Suites for the Firebox M470.